It has been my goal to have the unfinished, storage part of our basement clean and organized before the time came to put out Halloween decorations this year. I adore Halloween decorations and have blogged about a couple of my favorites in the past. We moved right before Christmas last year, which was nuts, and unpacking and reorganizing for this house has been a long and gradual task. The basement had finally climbed up on my priority list and I was making good progress on it right before Rob’s injury, but now it has taken a back seat. I think I’m going to mostly let the Halloween decorating go this year because I just can’t stomach the task of locating and dragging up boxes of decorations from a messy, disorganized space and plopping them back down there the same way. But I still can’t let my favorite season go by without a little festively spooky fun. I made cushions for my front porch chairs over the summer but the floral fabric no longer seemed appropriate to the season. 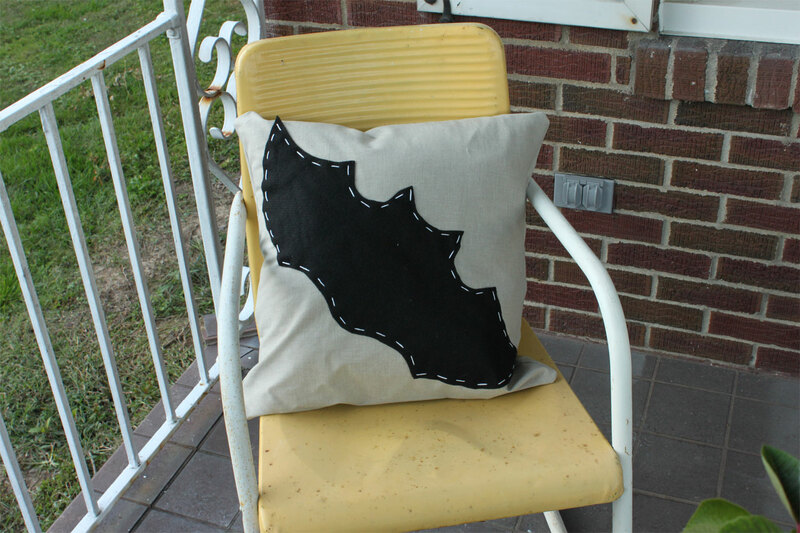 I sewed these new Halloween pillow covers (only one is pictured) in a neutral fabric, then used fabric glue to attach a black felt bat cutout to the front and made stitching around the bat with white embroidery floss. The shams were a quick but satisfying project made with inexpensive materials and a design that is strong enough to be noticed from the street. Now all I have to do after Halloween is launder them and tuck them into the right box downstairs–not such a bad job. Rob’s injury has increased the time I’ve been able to spend knooking and crocheting. Waiting rooms are really the perfect spots for yarn crafts. I knooked this hat, but modified to have a fold-up brim like this one. 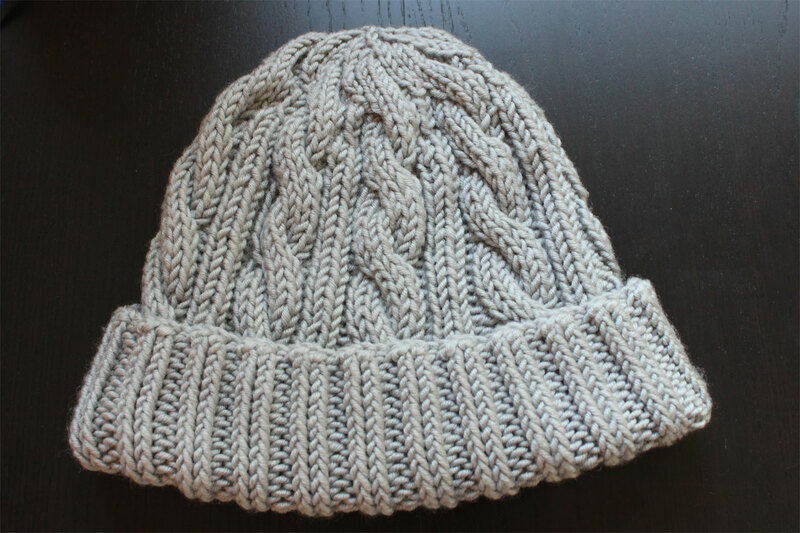 I love the classic look of the Irish cable pattern and it was surprisingly simple to do. In my head knitted cables have always been swathed in some sort of unapproachable crafty mystic, but some basic internet instructions explained the process quite clearly and it didn’t end up being any more difficult than regular ribbing. I think this hat might want to be finished off with a faux-fur pom-pom kind of like this one but I’m not sure where to buy one. Maybe I will just make a trip to Claire’s and purchase an inexpensive accessory that includes a fur pom-pom and use that. Seems kind of wasteful but I’ve not seen them for sale on their own. I used this yarn from Joann and it’s okay. Soft but unexciting. The hat turned out a bit big, either because my gauge was off with such lofty yarn (I didn’t check) or because I have a small head, but I kind of like it that way–it won’t squish my curls. And my knooking set came in! I’m thrilled. It was totally worth the wait to order this set from China via eBay. The price was terrific and I now have all the basic sizes. The quality seems good, the holes are just the right width and the sizes all clearly labeled. 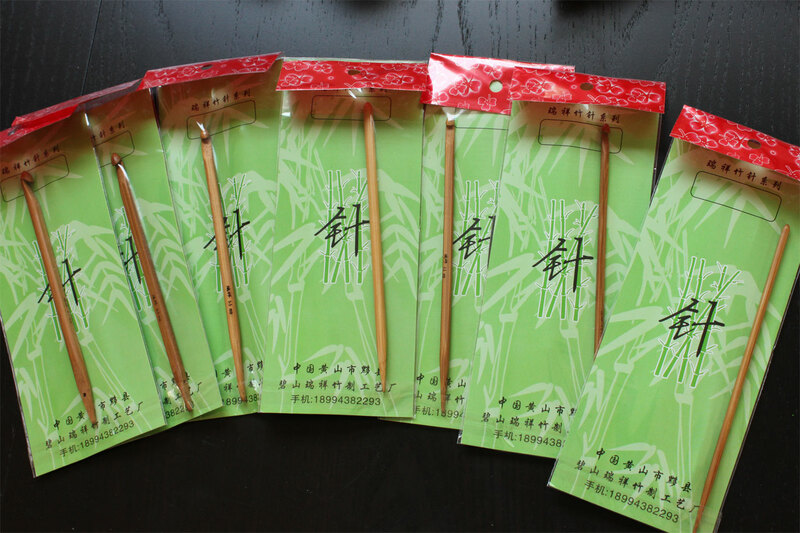 Plus it was just fun to get a parcel sent directly from China. Dorothy studied all the unfamiliar characters on the customs sheet and we traced the path the package traveled around the globe. where on ebay did you get those hooks?